Last week we hipped you to a remarkable behind-the-scenes video tour of Milwaukee County Stadium mere weeks before it was closed and torn down. 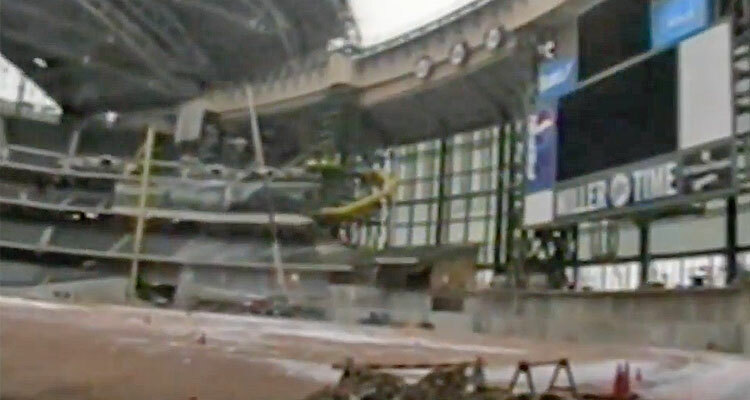 Now, the same former Brewers grounds crew member who shot that video (YouTube user “Major Air”) has uploaded a second clip, this one showing the ascendant Miller Park while it was still under construction in 2000. (Plus, there’s footage of a preseason game against the Red Sox from 2001.) Once again, it’s an impressive, all-access glimpse of a Milwaukee icon. And once again, can you believe Miller Park won’t be Miller Park in two years?